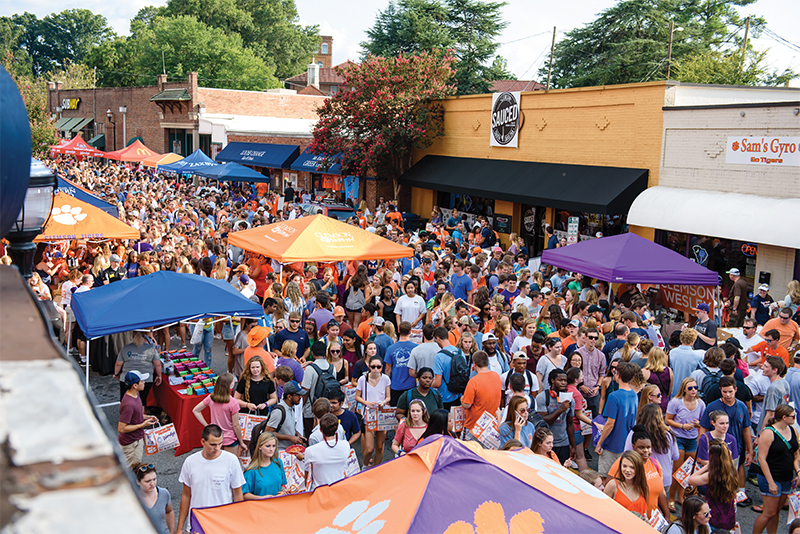 Although the date was adjusted to accommodate the eclipse and the thousands of visitors in town, this year’s Welcome Back Festival was a fun evening of wandering through the crowds on College Avenue, picking up a bite or two to eat and some Clemson swag while enjoying appearances by Tiger Band, the Rally Cats, the cheerleaders and President Clements. Performances by a live band capped the event, which featured 92 vendors lining the streets. Festival-goers bought 50-cent tickets for food and chances to win prizes, with the $18,700 in proceeds going to the Student Alumni Council Endowment Scholarship Fund.